Northwest Line Constructors Chapter, NECA was chartered in 1947 to form a voice for the electrical line contractors of the Pacific NW. 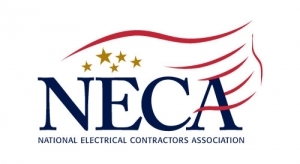 The National Electrical Contractors Association is headquartered in Bethesda, Maryland. NECA serves it members through advocacy, education, research and standards development locally and nationally. Joe Sutton – Potelco, Inc.
Joe Sutton – Potelco Inc.